JUNE GOES OUT LIKE A LION…. 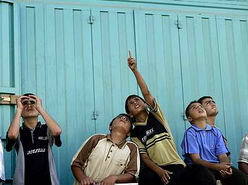 As children in the United States and Canada look to the sky to watch fireworks heralding in their National Days, these Palestinian children look up at Israeli warplanes. An Israel soldier was captured by extremists in the Gaza Strip earlier this week…Israel blamed Hamas. Yes, Hamas is guilty… guilty of not being allowed to form a government that can govern. Guilty of not being recognised by Israel, the United States and the European Union. How does Israel punish the guilty party?.. By arresting 64 members of Hamas in the occupied territories, including a third of the Palestinian cabinet and 23 legislators.This is supposed to reflect a change in Israel’s policy towards the Hamas government… from non-recognition to destruction. Israel will do everything in its power to destroy Hamas’ ability to govern, and then will blame them for not dealing with the situation. Hamas is presently between a rock and a hard place, totally helpless and unable to prove their willingness to help get the release of the soldier in question. The world must not sit idely by and allow Israel to continue destroying the government, the land and the people of Palestine. As the title states, June goes out like a lion…. let us see July come in like a lamb. RAMALLAH, West Bank, Friday, June 30 .. Israeli troops seized 64 members of Hamas in the West Bank on Thursday, including a third of the Palestinian cabinet and 23 legislators, a move that Israeli officials said indicated a significant change in Israel’s policy toward the Hamas government. The seizures are partly intended to warn Hamas leaders that they could lose their power and liberty, if not their lives, unless they act to release a captured Israeli soldier, a senior Israeli military official said. But Israel has also concluded that Hamas, which had largely kept to a cease-fire before, is now openly engaged in violent acts against Israel and must be treated differently. It was unclear what would happen to those held if the Israeli soldier were released, but the officials described the seizures as part of a plan well beyond seeking that. In and near Gaza, Israeli forces held their positions on Thursday night, appearing to pause in an expected ground assault but continued to pound northern Gaza with artillery fire. Early Friday, the Palestinian Interior Ministry was set on fire by an Israeli airstrike. In explaining the shift toward Hamas, Israeli officials said Thursday that they had agreed to let Palestinian parliamentary elections go ahead five months ago, despite the participation of Hamas, under American pressure. Hamas won the elections and formed a government that Israel and its allies have worked to weaken, especially through economic pressure, in an effort to get it to recognize Israel and forswear violence. The Israelis cited Hamas’s firing of Qassam rockets beginning this month, its public declaration that the cease-fire with Israel was over and its open involvement in the raid into Israeli territory early Sunday that resulted in the deaths of two Israeli soldiers and the capture of a wounded corporal, Gilad Shalit, 19. The seizures of the Hamas political leaders, under criminal law, for alleged membership in a terrorist organization and involvement in terrorist acts, were approved this week by the attorney general, Menachem Mazuz, “because he agreed that the public interest has changed, and there are moments a state can say, ‘We have a public interest in activating the criminal law,’ ” said Jacob Galanti, the Justice Ministry spokesman, in an interview. All those seized will be able to have lawyers and will appear in court as in other criminal trials, Mr. Galanti said, like the one successfully prosecuted against the Fatah leader Marwan Barghouti, who was convicted in 2004 of conspiracy to murder. Jihad al-Wazir, who was the finance minister in the old Fatah government and deputy governor of the Palestine Monetary Authority, was one of those rousted out of bed early Thursday by Israeli soldiers in combat gear who hammered with their feet on his door. “I tried to calm them down, and said, ‘Come in, come in,’ ” said Mr. Wazir, who lives in the elegant Gemzo Suites apartment building in Ramallah, just across from the headquarters of the Fatah faction. Numerous Hamas ministers and legislators of the Palestinian Authority live there too, and they, like Mr. Wazir, were ordered to dress and come outside. Unlike Mr. Wazir, many of them were taken away, their hands cuffed. Analysts say the crisis is also further weakening the position of the Palestinian Authority’s president, Mahmoud Abbas, known as Abu Mazen. Mr. Abbas, they say, is being pulled, and is pulling Fatah, closer to Hamas in the face of the Israeli threat, when he originally wanted to pull Hamas closer to Fatah. “Abu Mazen is being squeezed by everyone, he’s being smashed,” Mr. Jarbawi said. Menachem Klein, a political scientist at Israel’s Bar-Ilan University and an expert on Palestinian politics, sees Mr. Abbas pushed toward Hamas for two reasons. He cites the cold shoulder Mr. Abbas got from the new Israeli prime minister, Ehud Olmert, which pushed Mr. Abbas “to try to empower himself domestically and build up a coalition against Olmert’s unilateral plans,” and the Israeli operation, which compels a united Palestinian front. I’ve decided to take a day off from blogging today… I need a break from the reality of the ugliness in the region…so I present instead a thread written by my son on his Blog. It is definitely worth reading. Comments may be left here, or on his thread itself. Yesterday, hopes were raised that peace was on the way…. 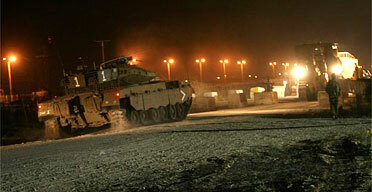 today those hopes were crushed as Israeli tanks made their way to the south of Gaza. Israel has been waiting for an excuse to pull off a full scale invasion of the Strip for months now. The capture of an Israeli soldier gave them the excuse they were waiting for. As was the case of the Arafat ‘regime’, the Hamas ‘Government’ has been deemed helpless in the situation facing us today. Efforts by the United States and most European countries have made it impossible for Hamas to form a government and take charge of affairs in the Palestinian areas. In it’s place we see various ‘factions’ of political movements taking charge of matters there, with Hamas helpless in controlling the situation. We see kidnappings that are not sanctioned by what should be the ruling government, but we see the blame pointed at them regardless. Israel, by its own actions of non recognition and sabotage, is fully responsible for the situation in the Palestinian areas. The ball was passed yesterday, Israel has chosen not to score a goal…. but as always, they will find a way to ‘blame the victim’ and come out looking like victors. The world is watching…. the world is hoping…. Israel is crushing those hopes. The Palestinian Authority just passed the ball to Israel’s court. The Palestinian leadership is prepared to recognise the State of Israel… Now, the question remains… Is Israel prepared to recognise a State of Palestine. This comes at a time when both nations are virtually at war with each other, I do not recall any such precident in recent history. Following are short comments from various linked articles…. Let us hope that soon we will see headlines proclaiming PEACE IN THE MIDDLE EAST! Hamas and Fatah on Tuesday completed an agreement over a plan that implicitly recognizes Israel, ending weeks of acrimonious negotiations, a top official said. “We have an agreement over the document,” said Ibrahim Abu Najah, coordination of the “national dialogue” over the proposal. Palestinain Authority Chairman Mahmoud Abbas of Fatah has been trying to coax his Hamas rivals into endorsing the document, which calls for a Palestinian state alongside Israel, based on the 1967 borders. All the obstacles were removed and an agreement was reached on all the points of the prisoners’ document,” Rawhi Fattouh, a senior aide to Abbas, said after factions meeting in Gaza initialed the accord. 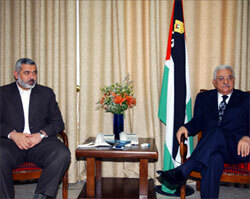 Fattouh said Haniyeh and Abbas would formally announce the deal later in the day. A Hamas spokesman confirmed an agreement was reached. Mahmoud Abbas and Ismail Haniya have reached agreement on a manifesto at the heart of a power struggle between their rival groups. 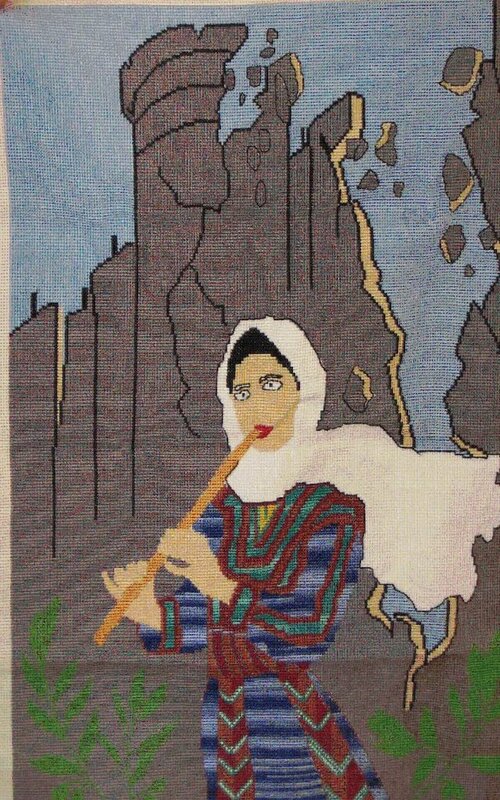 The political document, by Palestinian prisoners in Israeli jails, implicitly recognises Israel. Hamas and Fatah have reached agreement on a groundbreaking plan implicitly recognising Israel and potentially ending months of political deadlock in the Palestinian authority. 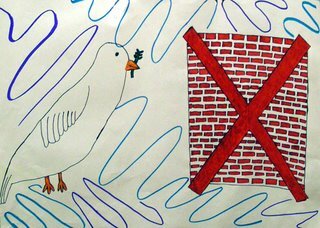 The joint political platform, drawn up by militant prisoners in Israeli jails, calls for a Palestinian state ruled by a coalition government alongside an Israel confined within its pre-1967 borders. Unlike football, the ‘trophy’ in this ‘game’ is for keeps…and both sides win. 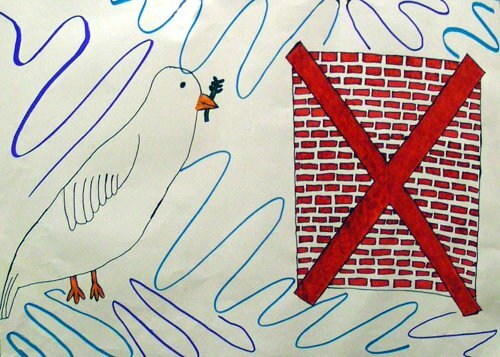 Peace is the greatest prize humanity can hope for….Let’s hope it happens. Jonathan Cook has, in recent days, become my favourite journalist. He speaks the truth… whether you want to hear it or not. Thanks to CounterPunch for publishing his views. I have posted his last few articles on the latest crisis in Israel/Palestine with the hope that they will get the widest distribution possible. His latest appears below. Jonathan Cook is a writer and journalist based in Nazareth, Israel. He is the author of the forthcoming “Blood and Religion: The Unmasking of the Jewish and Democratic State” published by Pluto Press, and available in the United States from the University of Michigan Press. His website is here. There is something wrong with my email. I am not receiving what is being sent… it is being looked at now by my provider. I did not receive any notifications to moderate comments, so no new comments are appearing at the moment. I am NOT ignoring anyone or rejecting anyone. Please be patient. Thanks. SO… if anyone commented on previous articles and you do not see them posted, please resend. This Israeli tank is the first thing many Palestinian children see when they leave their homes. Many of these children are orphaned, many have witnessed the burials of their parents, brothers, sisters, friends… this is unnatural for children. They should be experiencing life…not death. Most people in the West have no idea what the term ‘occupation’ means, have no idea of the suffering that results from it. One way to combat the evils of it is to make the situation known to as many people as possible, that is my intent. The following article appears on the ElecronicInifada. 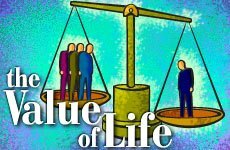 It is a well researched piece and should be read and spread. It is written by a Jew living in Israel. The history of occupation is not just that of Palestinian suffering and Israeli aggression; it is also the history of its ideology, the history of the fictions the Israeli society fabricates in order to justify its major colonial project which has just entered its 40th year. These fictions do have a history: one can trace their career from birth to maturity, their shifts from the margin to the center and vice versa, their rise and fall among definite segments of the Israeli society or media, sometimes their (reversible) death. A few years ago, I dedicated two columns to the ideology of occupation, following a nice synopsis of it given by an Israeli settler. Most of those arguments are still on the market today. You can still hear Israelis explain away the occupation by resorting to the Palestinian rejection of the partition plan, 60 years ago. Also the notion that “they want to throw us all into the sea” can boast a continuous career from the Passover Hagadah (“in every generation they rise against us to destroy us”) up to the current political use of the Hamas Charter. But some things have changed. If you nowadays ask an Israeli about the occupation, what answers will you get? The orthodox and hard-line right wingers (Likud and rightward) would probably come up with more traditional arguments (“it’s all our land,” etc. ); but if you come across a mainstreamer – one of those who consider themselves “moderate right-wingers,” “centrists,” or “leftists” (the terms are near-synonyms in present Israeli discourse), voters of Kadima, Labor, or Meretz – I think this is what you are going to hear. Almost all the Israelis really believe the occupation of Gaza is over. The Palestinians there are now free to run their lives as they like, and Israel has nothing to do with it. They envisage a similar scenario being realized, or perhaps realized already, for the West Bank behind the Wall. This fiction has become popular since the Israeli withdrawal from the Gaza Strip last summer; but its roots go back to the Oslo years, when especially the Zionist Left (Yossi Sarid, et al.) cultivated the myth that a Palestinian state in fact already existed, or was about to emerge within a fortnight (not later than 1998, as the Oslo Accords indeed stated; remember also Bush’s broken deadline). In fact, this fiction represents a deep Israeli desire to deny: since the liberal Israeli knows the occupation cannot go together with democracy and justice, the occupation should disappear – but in a virtual way, by being denied. On a deeper level, many Israeli liberals believe Arabs cannot go together with culture and modernity, so denying their existence, both virtually and actually, by locking the undesired neighbors behind a big Wall and forgetting all about them, sounds like a pretty good solution. “We’re here, they’re there” was Ehud Barak’s sophisticated “peace slogan.” The actual power relations between “here” and “there” have to be denied; in fact, the only thing that reminds the Israelis of these power relations is the Palestinian violent resistance. Were it not for “terrorism” (a term used indiscriminately for both legitimate and illegitimate Palestinian violence), the Israelis would have happily forgotten all about their locked-up neighbors by now. Accordingly, the persistent homemade Qassam missiles that terrorize the Israeli town of Sderot are conceptualized by Israelis as typical Arab ingratitude, as shameless ungratefulness for the great gift that Israel has presented the Palestinians by withdrawing from Gaza, allegedly restoring their freedom, honor, and well-being. The reality is different. Having pulled its settlers out of Gaza, Israel is now imposing a total siege on the tiny Strip: the 1.5 million Palestinians locked up there have no access to the sea (Israel never let the Gaza seaport be built), no access to the air (Israel destroyed the Gaza airport), and all the crossings are under Israeli control (i.e., practically closed most of the time). Since the Hamas victory in the elections, Israel and the international community have also been imposing an economic siege on the Strip, severing the financial ties with the Palestinian authority; to pay their Authority’s employees, the Palestinians have to smuggle cash through the crossings. Israel’s “security system” – the Occupation incarnated – is the one who decides whether Gazans will have flour, medicines, and any other goods, how much, and when. While this economic and physical siege is being imposed by air, sea, and land, and while Gaza is daily bombarded by missiles, artillery, and naval fire, “center-left” Israelis can say things like “Israel has left Gaza. The Palestinians could use this fact to finally rebuild Gaza, to build houses for refugees, to encourage investments, and to create jobs. Gazans could finally live like humans” (quoted from a letter to the excellent Hebrew Web site Ha’okets). The situation in the West Bank is not so very different. The Palestinians there are locked in smaller cages than in Gaza, but the siege is less hermetic. While the Palestinians are locked behind huge walls, with a satanic system of roadblocks and permits, and sliced by roads-for-Jews-only and by settlements, harassed day and night by army incursions into their villages, houses, and bedrooms, many Israelis believe the occupation is now retreating, and its end is just a matter of time, or rather of semantics. Alas, colonialism does not disappear by being denied; in fact, the Israeli occupation is at its peak, worse than ever before. There is no better evidence for that than the discussion about whether or not there is a humanitarian crisis in Palestine, once a rich Land of Milk and Honey. Ha’aretz reported Tuesday that the Knesset would debate a new bill, harshly criticized by leading jurists, that would make it possible to extend a suspect’s remand without him being present in court, and to prevent him from seeing a lawyer for 30 consecutive days. The bill was submitted by the Justice Ministry and is supported by the Shin Bet security service. If you wonder why such a bill is suddenly needed, or who these “suspects” might be, you’ll first have to learn Hebrew; Ha’aretz’s version in this language explains: “Till the ending of the military regime in the Gaza Strip, the investigation authorities had wider powers than those granted by the Detention Law. Now that the military regime in Gaza has ended, a special law is needed to give the security services wider enforcement powers.” A few days after this debate, as if to make a point, the Israeli army entered the Gaza Strip and, for the first time since the withdrawal, abducted – “arrested” – two Palestinians.The occupation is over, long live the occupation. Dr. Ran HaCohen was born in the Netherlands in 1964 and grew up in Israel. He has a B.A. in Computer Science, an M.A. in Comparative Literature, and his PhD is in Jewish Studies. He is a university teacher in Israel. He also works as a literary translator (from German, English and Dutch), and as a literary critic for the Israeli daily Yedioth Achronoth. Mr. HaCohen’s work has been published widely in Israel. 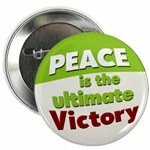 “Letter from Israel” appears occasionally at Antiwar.com. 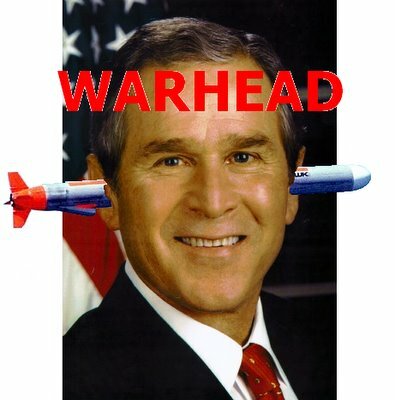 This article, which first appeared on Antiwar.com,is published with the author’s permission. The Politics of Occupation must be replaced by the Politics of Justice. 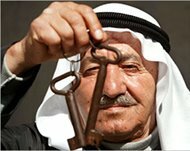 The Palestinian People must be given the RIGHT to build their own country, develop their culture, educate their children; the very freedoms that every free nation enjoys. I do not want to see harm brought to the Israeli soldier that has been captured. I want to see him returned to his family, alive and well. I find the headline on the CNN link very strange… “Israel demands release of abducted soldier”… Demands of whom???? Have they suddenly recognised the Hamas regime now that they want something from them? Here is an article from CNN and another from AlJazeera dealing with the situation. Correct me if I’m wrong… Israeli forces have been on a killing spree in Gaza for over two weeks now but “This is a crisis”? I too hope the soldier will be released immediately, but will that stop the killings of innocent civilians? Where are the diplomatic efforts afoot to stop Israel from continuing these murders? That sounds hopeful… but which crisis is refered to, the killings of innocent civilians or the capture of an Israeli soldier? Is there only one crisis in the region presently? The killing continues, the lies continue, the threats continue. Every day now Palestinian children are left to be orphans, or worse… killed themselves. This, due to missle strikes by the Israeli Defense Forces. To date, Washington has been silent on these attacks, despite appeals from President Abbas to Ms. Rice. The ElectronicIntifada had the following report on their site..
Opposition leader and Likud leader Benjamin Netanyahu told the 35th Zionist Congress in Jerusalem on Thursday that the Israel Defense Forces has the operational capability to wipe out the Gaza Strip, but chose not to do so. The full report can be seen here in an article from HaAretz. Anyone, anywhere, that considers themselves to be a person of peace or justice has but one choice… BOYCOTT ISRAEL! 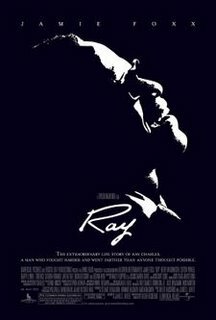 I just watched the movie Ray. It was based on the life of Ray Charles. 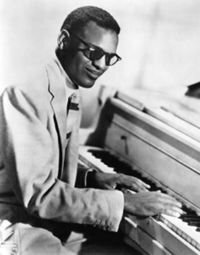 For most of my adult life whenever entertainment was provided, Ray Charles was a part of that. He was someone my generation took for granted, always there and always great. I knew very little about him personally until tonight. I was totally unaware of the fact that he was the first Black performer to refuse to appear in front of segregated audiences, a move that almost cost him his career. I was totally unaware of the psychological battle that raged within him as a result of witnessing his younger brother drown when he was only 5 years old. This trauma resulted in him becomming a heavy drug user, which was another factor that almost cost him his career, his family and his life. 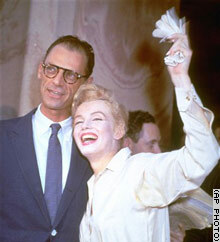 He battled all odds throughout his life, blindness, trauma, drug abuse, yet became the number one performer in America. Anyone that hasn’t seen the movie must…. his story must be known, and the ugliness that was America must be known. It was people like Ray Charles that made things better than they were…. there is still a long way to go, but the path has been started. Two days after the concert for Peace here in Israel, it is still making the press throughout the West. CNN just posted this video on their site… it’s worth the few minutes it takes to watch it. Israel continues to lie, Palestinians continue to die. Ehud Olmert, the Israeli Prime Minister, expressed “deep regret” for army operations that have killed 14 Palestinian civilians in Gaza in just nine days but said the lives of Israeli citizens threatened by Qassam attacks were “even more important”. A full report of that can be found here. With attitudes like that, it’s no wonder that the killing spree continues. Thanks to Jews sans Frontieres for inspiring this thread. CounterPunch is again on top of the situation with the following article. During the week of Israeli restraint, the army killed a Palestinian family who went on a picnic on the Beit Lahya beach in the Gaza Strip; after that, the army killed nine people in order to liquidate a Katyusha rocket. But in the discourse of restraint, the first killing does not count, because the army denied its involvement, and the second was deemed a necessary act of self-defense. After all, Israel is caught in the midst of Qassam attacks, and must defend its citizens. In this narrative, the fact that Israel is content merely to bombard the Gaza Strip from air, sea and land is a model of restraint and humanity that not many states could match. But what is driving the Qassam attacks on Israel? For 17 months, since it declared a cease fire, Hamas has not been involved in firing Qassams. The other organizations have generally succeeded in launching only a few isolated Qassams. How did this evolve into an attack of something like 70 Qassams in three days? The Israeli army has a long tradition of “inviting” salvoes of Qassams. In April of last year, Sharon took off to a meeting with Bush in which his central message was that Abbas is not to be trusted, has no control of the ground, and cannot be a partner for negotiations. The army took care to provide an appropriate backdrop for the meeting. On the eve of Sharon’s departure, on 9 April 2005, the Israeli a rmy killed three youths on the Rafah border, who according to Palestinian sources were playing soccer there. At the beginning of last week (11 June), Olmert set out on a campaign of persuasion in Europe to convince European leaders that now, with Hamas in power, Israel definitely has no partner. The USA does not appear to need any convincing at the moment, but in Europe there is more reservation about unilateral measures. The Israeli army began to prepare the backdrop on the night of the previous Thursday (8 June 2006), when it “liquidated” Jamal Abu Samhadana, who had recently been appointed head of the security forces of the Interior Ministry by the Hamas government. It was entirely predictable that the action may lead to Qassam attacks on Sderot. Nevertheless, the army proceeded the following day to shell the Gaza coast (killing the Ghalya family and wounding tens of people), and succeeded in igniting the required conflagration, until Hamas again ordered its people, on 14 June, to cease firing. This op-ed went to press an hour before the Israeli air force killed three more children in a crowded street in North Gaza, on Tuesday, June 20. Tanya Reinhart is a Professor of Linguistics at Tel Aviv University and the author of Israel/Palestine: How to End the War of 1948 and The Roadmap to Nowhere. She can be reached through her website. 3. Alex Fishman, Senior security analyst of Yediot Aharonot reports that at the beginning “the artillery shelling of the Gaza strip was debated”, but then, “what started ten months ago with dozens of shells a month that were fired at open areas today reached astronomical numbers of shells. The battery that fired the six shells on Friday [June 9] fire an average of more than a thousand shells a week towards the north of the Strip. This means that the battery which has been placed there for four weeks has already fired about 5000 shells” (Yediot Aharonot Sa! turday Supplement, June 16, 2006). Americans can be proud. 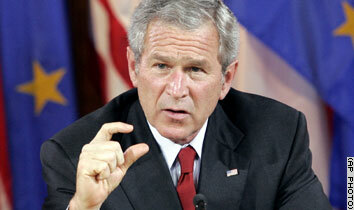 Their President, George Dubya Bush has broken a new record. He has 803 images on Google if you look for images of Idiot Bush. Tony Blair got a mere 27…most of which are of Bush… he really has to try harder. Your search – idiot olmert – did not match any documents. That notification indicates that Google is either ‘top heavy’ with Zionists, or they have joined the Boycott on Israel. Ehud Olmert, in his first meeting with Mahmoud Abbas as Israeli prime minister, yesterday told the Palestinian Authority president he regretted the deaths of Palestinian civilians in recent air strikes on the Gaza Strip. The two men met briefly in the margins of a conference in Petra, Jordan, hours after a pregnant woman and her brother were killed by a missile that struck their home, bringing the Palestinian civilian death toll to 13 in little over a week. Three Palestinian children died in an attack on Tuesday. The Israeli air force commander, Major-General Eliezer Shakedi, defended air strikes as the most accurate means of targeting militants short of a full-scale ground offensive into Gaza. The military nevertheless said it was launching an investigation into the latest botched raid. The military has reverted to air strikes against militants who fire home-made rockets into Israel after suspending daily artillery barrages in the wake of the killing of eight picnickers on a Gaza beach on June 9, ostensibly by an Israeli shell. AlJazeera reported that there will be future talks between the two. This is positive, but the fact that there was not a representative from Hamas is not. Hamas, whether Olmert and Abbas like it or not, was elected by the Palestinians to represent them. Just where is that representation? NOTE TO MY READERS… linked articls often change at the source, HaAretz does this frequently. The story is usually related but is not what was linked originally. 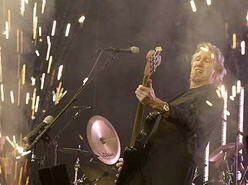 Former Pink Floyd lead singer Roger Waters performing at Neveh Shalom near Latrun on Thursday. As expected, the concert for peace was a ‘roaring’ success. Concertgoers on the way to hear Roger Waters caused massive traffic jams throughout Israel earlier this evening. Following is a full report from HaAretz. The large flow of people making their way on Thursday to a concert given by Roger Waters, the leader of the musical group ‘Pink Floyd’, created large-scale congestion in the roads leading to Neveh Shalom, where the concert is taking place. Tens of thousands of drivers heading to the concert, along with thousands of drivers trying to get to other destinations in the area, were forced to wait hours in standstill traffic. The most severe congestion occurred in Gush Dan (the Tel-Aviv metropolitan area), where heavy traffic is not uncommon, even without these extenuating circumstances. The reason for the unusually heavy jamming of traffic is the fact that the roads around Neveh Shalom and the routes leading to the area are not equipped to handle the amount of traffic that came through them on Thursday. In recent weeks, the producers of the concert have been preparing the access roads and parking lots for the large amounts of cars that were expected, however, route 3, the road that leads to the site of the concert, is at one point only one lane wide, which delayed traffic considerably. The Jerusalem Police and the national Traffic Police came out in unprecedented numbers to deal with the traffic situation. They predicted that 20,000 vehicles would make their way to the concert, carrying 54,000 drivers and passengers. 950 police officers and 600 security personnel took part in securing the event. 180 police officers and 200 ushers were designated to direct traffic in the area. There will be a rock concert in Israel tonight. The star will be the founder of Pink Floyd, Roger Waters. It will be held in a field adjacent to an Arab/Jewish village called Neve Shalom. Reports estimate that more than 50,000 fans will attend the concert. Click HERE to read an interview about the background of the concert. Following is a report from today’s HaAretz…. 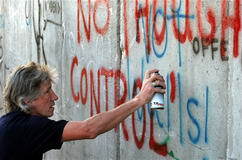 Pink Floyd frontman Roger Waters, who inspired the rock band’s iconic album “The Wall,” scrawled “tear down the wall” on the concrete panels of Israel’s West Bank barrier on Wednesday. The barrier was the first stop on a visit to Israel and the Palestinian territories for Waters, who had been criticized by some fans for planning to play a concert in Israel. 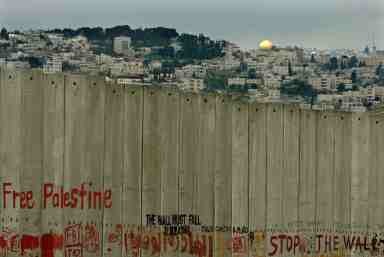 “It’s a horrific edifice, this thing,” Waters told reporters as he stood beside a section of the barrier in Bethlehem. Waters added to graffiti with red spray paint and a marker pen. Waters was lyricist, songwriter and singer for Pink Floyd, the former British rock group famous for “The Wall” and “The Dark Side of the Moon”. In 1990, Waters performed “The Wall” along the Berlin Wall that separated East and West Germany to celebrate reunification. He told reporters he hoped Israel’s barrier would also be brought down one day. More than 90 percent of the barrier is razor-tipped fence, but towering concrete walls are used in built-up areas. “It may be a lot harder to get this one down, but eventually it must happen,” Waters said. The concert by the former Pink Floyd soloist is expected to cause massive traffic jams tonight on the Jerusalem-Tel Aviv Highway and Route 3 between the Latrun and Nahshon intersections. About 20,000 vehicles are expected to try to reach the concert venue near Neveh Shalom on a road that has between two and four lanes. Jerusalem Police and national traffic police will deploy unprecedented forces to cope with the extraordinarily heavy traffic burden. A total of 950 police officers and 600 security guards and ushers are to maintain security at the concert, while 180 police officers and 200 parking attendants will direct traffic in the area. “It is possible that at some point we will decide to direct vehicles against the normal traffic patterns in order to ease the burden,” one source said. “We recommend that drivers remain patient and leave early to attend the concert. Drivers coming from the Tel Aviv area are advised to leave as early as 4 or 5 P.M. The official concert will begin at 8:45 P.M., but opening acts will begin as early as 6 P.M,” said Police Commander Tzion Shai, an officer in the special missions division of the Jerusalem police force. Police predict that 45,000 people will attend the concert. “We recommend that drivers who are not attending the concert make use of alternate routes, like Jerusalem-Tel Aviv Highway 443 or Route 44 from Kiryat Gat to the Beit Jubrin intersection, and proceed to Jerusalem from there,” Shai said. The Jerusalem Police also recommends that concertgoers wear flat shoes in order to avoid slipping on the furrowed earth at the site. It’s amazing what went on in the United States during the height of the McCarthy days. Aside from the blaclistings, deportations, harrassment of every kind, the new revelations of these ‘private’ F.B.I. activities never cease to amaze me. They actually make the Bush administration look legit. C’mon guys, give me ‘this’ much credit…. I’m a genius compared to Joseph McCarthy. ‘SHULDIK’… that means GUILTY in Yiddish. ‘SHANDA’… that means SHAME in Yiddish. Palestine made it to the top of the list… of WORLD REFUGEES. So, why the Yiddish words at the beginning of this? 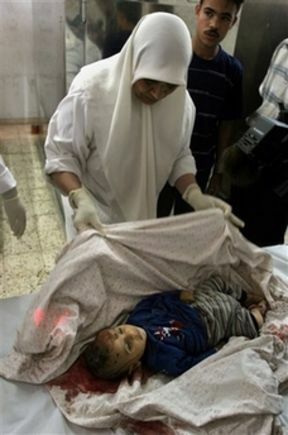 Simply because Israel is to blame for this and Israel must feel the shame. A country that itself was allowed to exist because of the refugees that survived after the holocaust. A country that should be the first to never allow those horrible things to happen to any other nation. Instead, it has done everything in its power since its ‘independance’ to keep the Palestinians from attaining that very same status of Statehood. Perhaps the growing boycott will change some minds and attitudes in the Israeli government…. something has to. THIS just in from AlJazeera… read this before you continue. CounterPunch, Jonathan Cook in particular, has been doing a marvelous job of reporting on the recent events in the Gaza Strip. At the end of the article I posted some very disturbing images, do not go to the bottom part of this thread if you wish not to see them. The following was written by Cook and appears in today’s issue of CounterPoint. It is a must read, as was his piece that i posted a few days ago. If you keep lying long enough and with enough conviction, people start to believe you — or at least doubt the evidence in front of their own eyes. And so it has been with the Israeli army’s account of how seven members of a Palestinian family were killed, and dozens of other Palestinians injured, during shelling close by a beach in Gaza. This week, according to reports in the Israeli media, even Marc Garlasco, a Pentagon expert on the effects of battlefield weapons hired by Human Rights Watch to investigate the deaths, “conceded” that he could not contradict the findings of the Israeli army’s own inquiry. Presumably that is because Israel is not letting him or anyone else near their evidence. But Garlasco’s slight change of tune — even if it is not exactly a ringing endorsement — leaves the door ajar just wide enough that the Israeli army will doubtless slip through it to escape being held accountable yet again. The army has been claiming for more than a week, based on its own evidence, that the lethal explosion was not caused by a stray shell landing on the Gaza beach but most probably by a mine placed there by Palestinian militants to prevent an Israeli naval landing. The army’s case could be dismissed outright were it not for the racist assumptions that now prevail as Western “thought” about Arabs and Muslims. To be plausible the army account requires two preposterous assumptions: first, that Palestinian militants are so fanatical that they consider it acceptable to lay a mine secretly in an area frequented by local families; and second, that they are so primitive that their best military minds could not work out the futility of placing a single mine along miles of coastline that could be used for a landing (or are we to assume that there are many more of these mines waiting to explode?). To support its case, the army has produced two pieces of evidence that apparently make its denials of responsibility “airtight”. First, it claims that a piece of shrapnel removed by doctors from an injured Palestinian transferred to an Israeli hospital was not from one its shells but more likely from a Palestinian explosive device. Given that, unlike Israel, the Palestinians do not have any factories manufacturing mines or rockets and are forced instead to make them out of any spare metal parts they can get their hands on — doors, pipes, wrecked cars, fridges — this evidence is meaningless. Palestinian witnesses have already said the beach victims were standing close to taxis when the shell exploded. So if the shrapnel was not from an Israeli shell, it suggests only that the missile also damaged other metal objects — possibly the cars — sending a shard into at least one of the victims. The army will have a lot of explaining to do if reports on Israeli TV, not usually noted for its independent approach, confirm that another piece of shrapnel found in a victim is from an Israeli shell. So far, of course, the army is denying the report. The second piece of evidence is supplied by the army, which says one of its many drones that circle overhead spying on Gaza round the clock shows the families calmly still on the beach, and later an ambulance arriving, tens of minutes after the army had finished shelling the area. The problem with the Israeli evidence is that we have to take the army’s word for it: that the families shown are the ones who were about to be shelled, and that the timings given are accurate. It also means we have to discount a lot of counter-evidence supplied by Garlasco, journalists, doctors and Palestinian witnesses — and even the Israeli army. The army, for example, has admitted that one of the shells it fired in the area is unaccounted for, a striking admission in itself. The drones apparently were no help in locating this “missing” explosion, even though they were spying on the area. Garlasco has already determined that the injuries sustained by the beach victims accord with a blast above ground — an Israeli shell — rather than one underground — a Palestinian mine. The many Palestinian witnesses have all put the time of the blast close to when the shelling occurred, and report that the reason they were queuing for taxis was because of panic sown by the shells they were hearing landing nearby. Independent journalists have shown that, according to the clocks on the hospital computers that admitted the dead and injured, the timing of the first blood tests were taken soon after the Israeli army shelling — and certainly too soon to accord with the army’s account of when the Palestinian mine supposedly exploded. Doctors have also confirmed that they were called to the nearest hospitals well before 5pm — at about the time, or even before, the army claims the mine went off. The outrage expressed in some quarters at the failure simply to believe the army’s version might sound more convincing were Israel welcoming an international investigation to adjudicate on the matter. But of course it is not. Just as in spring 2002, following the deaths of many civilians in the Palestinian town of Jenin and the destruction of the heart of the local refugee camp during a prolonged attack by the Israeli army and air force, Israel is rejecting all suggestions of an independent inquiry. So why not just take Israel’s word for it? Its army is the most moral in the world, after all, and a state of law like Israel would gain nothing from lying in such a bare-faced manner. The only problem is that Israel and its security forces have been caught out lying repeatedly during this intifada and before it, not just to people on the other side of the world who cannot verify the facts but also to its own courts and public. Ths week, for example, the Supreme Court ordered the army and Ministry of Defence to pull down several kilometres of the steel and concrete barrier they have erected on Palestinian land in the West Bank after it was proved that the security considerations behind the choice of the wall’s route were entirely bogus. Official documents reveal that the wall was located there to allow for the future expansion of nearly illegal Jewish settlements on yet more Palestinian land. The army and government concocted the fib and then stuck to it for more than two years. Chief Justice Aharaon Barak called their systematic lying “a grave phenomenon”. 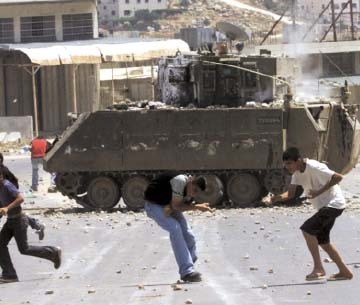 And at the start of the intifada, back in October 2000, the government and police covered up the fact that live ammunition and sniper units trained to deal with terror attacks had been used against unarmed Arab demonstrators inside Israel. For more than six months the government and security services denied that a single live round had been fired, despite mounting evidence to the contrary that lawyers and journalists like myself had unearthed. They might have got away with their brazen lies too, had it not been for an unusual series of events that led to the appointment of a state inquiry headed by a Supreme Court judge, Theodor Or, who quickly exposed the truth. That happened not because of any urge by official bodies to come clean or the inevitable triumph of Israeli justice. It happened for one reason alone: the prime minister of the day, Ehud Barak, feared losing the impending general election to his rival Ariel Sharon and thought he could buy back Arab votes by setting up an inquiry. The inhabitants of Gaza have no such leverage inside the Israeli legal and political system. They have no friends inside Israel. And now it looks like they have no friends in the international community either. 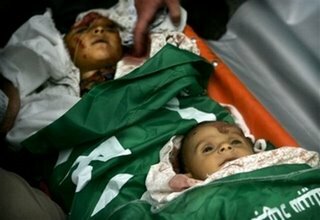 These children were killed last week by Israeli shells on a beach in Gaza. Who else would we like to see there?